DIRTMAG DIRT SEPARATOR W/ MAGNET 1-1/4"SW - NuComfort Supply Inc. 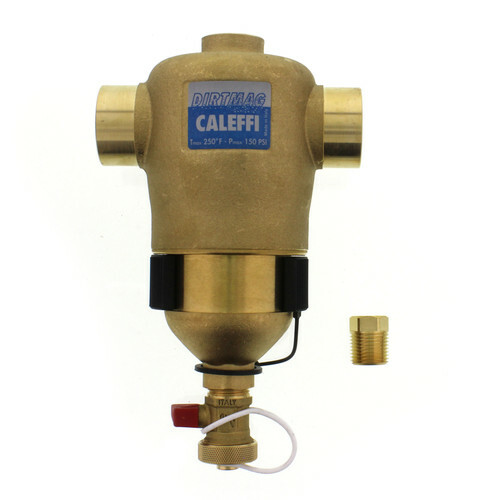 The Caleffi DirtMag Dirt Separator with Magnet cleanses and purifies heating and air conditioning systems. Even the smallest of particles pose a long term risk to the health and effectiveness of these systems. The Caleffi DirtMag Dirt Separator with Magnet controls this issue by automatically by forcing microparticles to the bottom of the unit where they can be safely discharged even while the system is operating.